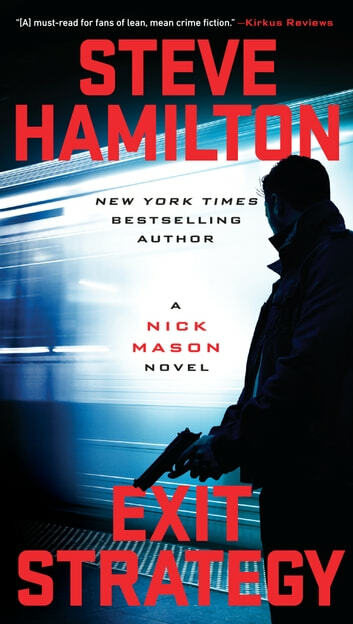 Nick Mason has been given a true mission impossible: Infiltrate WITSEC, the top-secret federal witness-protection program that has never been compromised, locate the three men who put his boss Darius Cole behind bars for life, and kill them. But first he has to find them—they’re ghost prisoners locked down around the clock in classified “deep black” locations by an battalion of heavily armed U.S. marshals charged with protecting them—and the clock is ticking. Cole is appealing his conviction, and these witnesses are either his ticket to freedom or the final nail in his coffin. If they testify, Darius Cole will never step foot in the outside world again. If they are killed, he will walk out a free man. As he risks everything to complete his mission, Mason finds himself being hunted by the very man he replaced, the ruthless assassin who once served, then betrayed, Darius Cole. Rather than waiting to be Mason's next victim, he has escaped witness protection to hunt down and kill Mason himself. In an action-packed journey that leads from a high-security military installation in the Appalachian Mountains to a secret underground bunker hidden far below the streets of New York City, Nick Mason will have to become, more than ever before, the lethal weapon that Darius Cole created. Great book, even better than the first. Excellent characters, dialogue, and plot. Read these books!